As part of BRC 7 compliance all food businesses are now required to complete a vulnerability assessment (see clause 5.4.2). The vulnerability assessment shall be kept under review to reflect changing economic circumstances and market intelligence which may alter the potential risk. It shall be formally reviewed annually. Many technologists responsible for supplier approval struggle with the requirement to consider economic factors which may make adulteration or substitution more attractive. 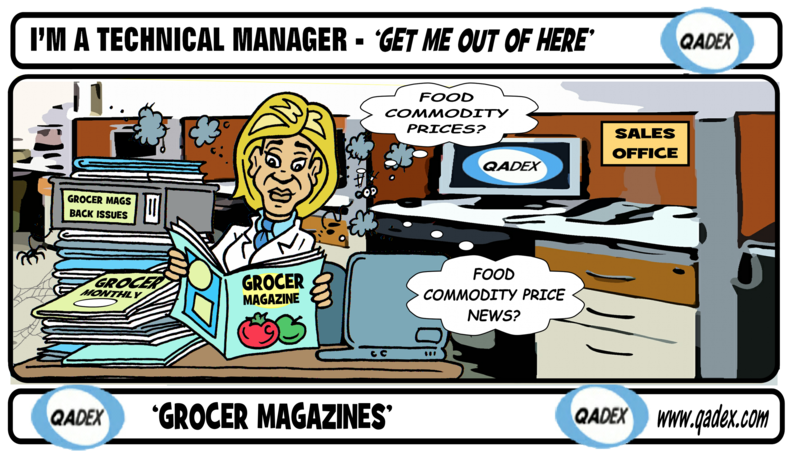 For UK food businesses a useful source of economic intelligence is the Grocer magazine which is published weekly and subscribed to by the majority of food businesses. Every week there is a very useful page provided by Mintel, which highlights issues related to food commodity prices or shortages. These can be very insightful and if any of these resonate with your field of products, then add these to your risk assessment. Similarly if they are definitely NOT risks for your area, then note that too, as an insignificant risk. Do summer holidays result in increased risks to food safety? previous post: Will 3D printing transform future product launches?